Contact us if want to improve the online visibility of your brand online? 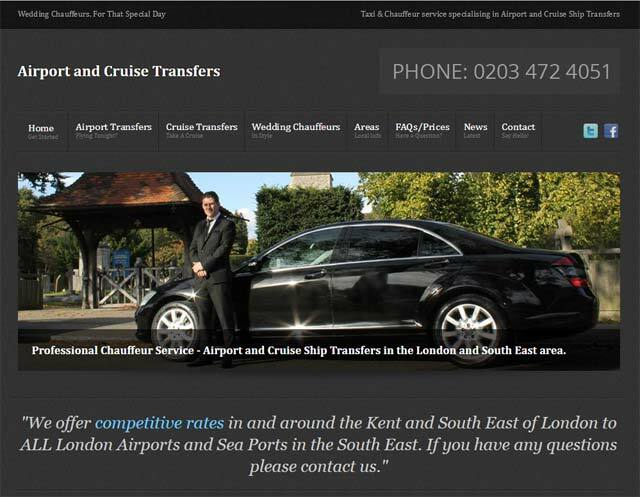 A professional Airport Taxi and Cruise Transfer service based in London needed a new website to highlight their services. A SEO campaign will follow to increase traffic and in turn new business from the site. Warwick Web Design are an experienced Web Design Company, offering a comprehensive online marketing and design service for businesses throughout the London area. We only build quality, professional looking websites and offer a range of services including brochure sites, online shops, logos, SEO, content writing and web hosting with emails. Your web site is like your shop window online, so you would never have a shabby shop front or none at all. If you need a new website or redesign of an existing one, give us a call or email us to see what we can do for you. 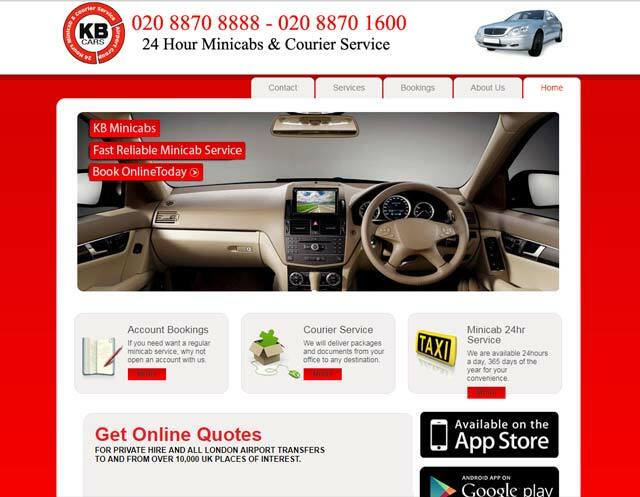 A premier London minicab company, providing cars and professionally trained drivers for taxi hire for its clients throughout Greater London. With over a decade`s experience in the field of the web and multimedia, with clients all over the UK, specialising in website development and search engine optimisation. So you can be sure that your website is in professional hands and will be an asset to your business. "We are extremely pleased with the outcome and would highly recommend your company, with no hesitation what so ever." "Thank you for all your efforts things seem to be busy for this early in the year! Seeing a nice level of enquiries coming from the website." "You SMASHED IT!!. It`s fantastic man, thank you so much. Honestly I can`t stop looking at it. It`s awesome, you`ve done a great job." "With a very fast turnaround time and a very reasonable price I can’t fault the professional service provided. What’s more the finished article looks fantastic. I would highly recommend." "Since having the website done my business has doubled within the following 8 months of its launch. Only regret is not having it done sooner. I would highly recommend gusmedia I'm a very happy customer." "I wanted to thank you for your excellent work over the last 5 months. You have exceeded our expectations with the website design you have done for Love Sanctuary and Debt Refund, including the flyer designs for both companies." "We have been working with Fergus for a number of years on two websites dedicated to academic research. He is helpful, quick to respond and deliver and skilled at helping make our research accessible to a wide variety of audiences through design that is both eye-catching and user-friendly". "Fergus proved to be very good at interoperating our requirements and has produced excellent results. He was very patient with us regarding the inevitable U turns and changes we wanted to make during the design process. He provided good advice on the technical aspects of the website. Fergus has been a pleasure to work with."